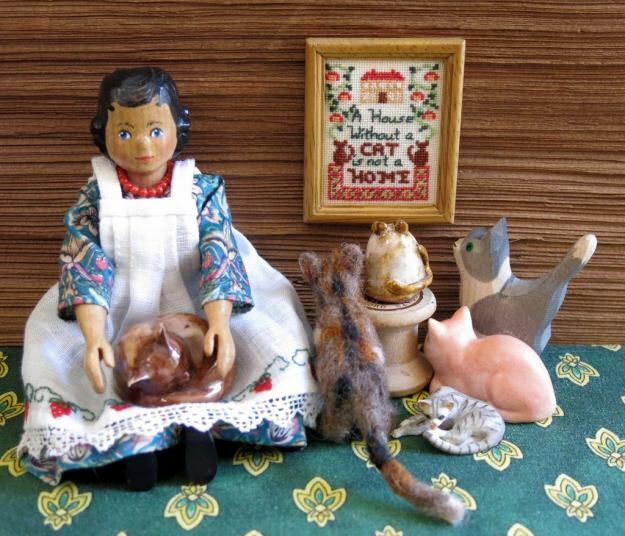 Kjerstin lives in British Columbia, and she collects unusual doll’s house scale items, in 1:8 scale (not the usual 1:12 scale), and collects Hitty dolls. 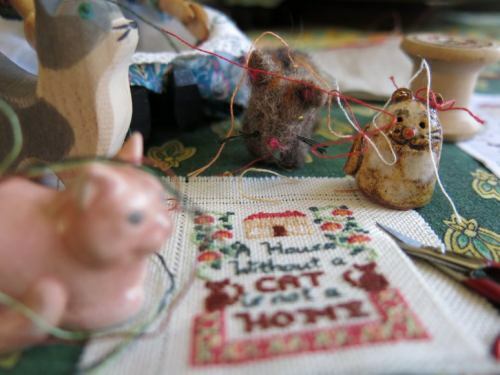 “Your House without a cat sampler kit was lovely, and I very much enjoyed stitching it. 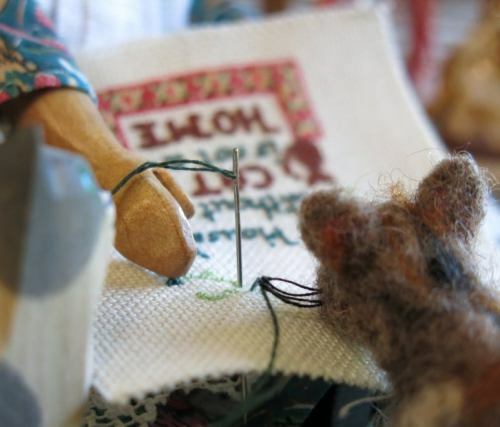 I have sent you a picture of my dollhouse cats admiring the finished product. 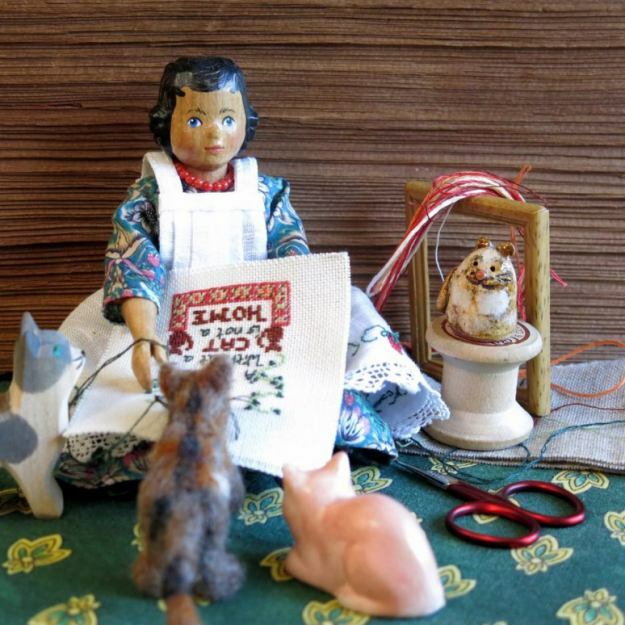 My dolls are hand-carved “Hitty” dolls, 1/8 size, rather than 1/12 scale. I think the sampler is just fine for my dolls at that scale. Hitty is fun for me. My mother had a large dollhouse, and I have a few pieces of her old dollhouse furniture. The house itself didn’t survive her peripatetic lifestyle. I am a bit haphazard about it all, but I find a piece here and a piece there to add to my Hitty habitat. Mostly the dolls aren’t bothered by non-matching furniture, and I enjoy finding and making things for them. I work as a Textile Conservator at the Royal BC Museum here in Victoria, Canada, and have seen (and cleaned and re-mounted) several human-sized samplers from collections, as well as one from my family. I was delighted to find your kits as it was a dream of mine to someday make one for Hitty!